1991.028 item 041 - A Bright & Merry Xmas Milton Chandler Brampton. 1905. 1991.028 item 042 - The Copeland Chatterson Printing House, Brampton Ont. 1991.028 item 044 - C. C. C. Co. Factory Brampton Ont. 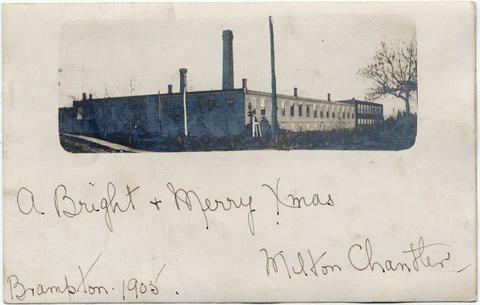 Item 1991.028 item 041 - A Bright & Merry Xmas Milton Chandler Brampton. 1905. A Bright & Merry Xmas Milton Chandler Brampton. 1905.
англійська » A Bright & Merry Xmas Milton Chandler Brampton. 1905.